In 2016, an Estonian art critic Heie Treier published a book "KAHN: The Islander" exploring the motivations, and subconscious inspirations behind Kahn's work. She elaborately focused on medieval Estonian architecture and analyzed how Kahn's birthplace might have influenced his creative work. In October 2016, five New York-based artists will explore how our physical surrounding can change artistic perception. Four different artistic numbers inspired by Kahn's architecture will bring the audience to a multimedia space where they can explore Kahn's work through contemporary music, drawing and writing. 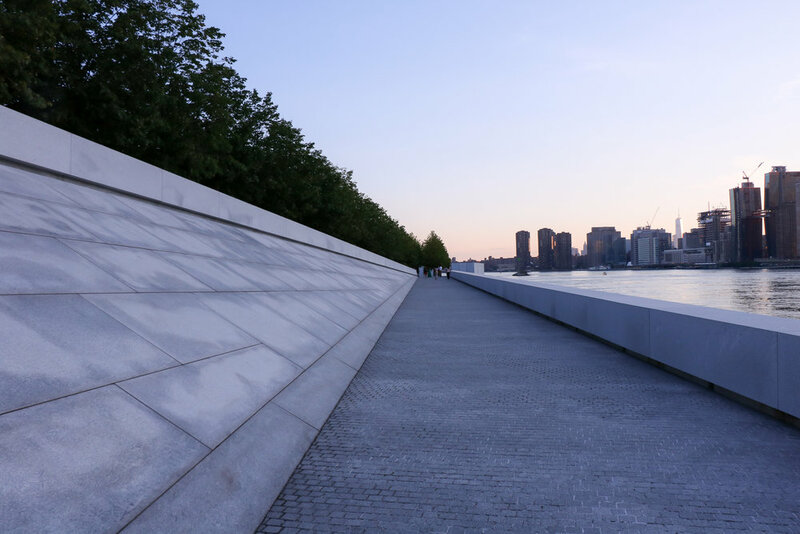 One of the center pieces of the show will be the Roosevelt Four Freedoms Park as an iconic landmark and one of Kahn's last works of architecture. Performers: Diina Tamm (movement), Valev Laube (sounds), Evan Basta (sounds), David Rothenberg (words), Jaanika Peerna (drawing). Wine and hors d'oeuvre will be served. The event is organized by The Foundation for Estonian Art and Letters; curated by Jaanika Peerna, Valev Laube.